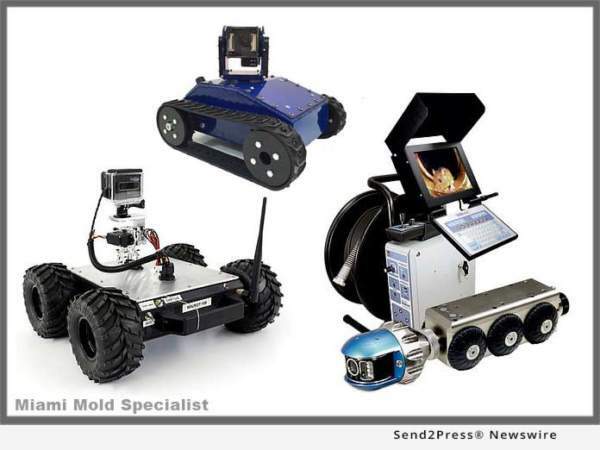 MIAMI, Fla., Dec 20, 2017 (SEND2PRESS NEWSWIRE) — South Florida mold removal co., Miami Mold Specialist, integrates state of the art robotics into new line of upgraded mold inspection and mold removal equipment. Thanks to this new technology, home and business owners throughout South Florida can now view and interact with Miami Mold Specialists technicians via the live video feed streaming from the high tech robotic devices. For more information on Miami Mold Specialists new add on attic and crawlspace cleaning service to their newly launched advanced robotics mold inspection and mold removal division, please visit: https://www.miamimoldspecialists.com/attic-and-crawlspace-cleaning.